In collaboration with the Bedford Cultural Commission, the City of Bedford presents ArtsFest, a family friendly event to promote and celebrate the arts in Bedford. This festival will feature artists, musicians and performers who contribute to the vibrant heritage of the North Texas region. Enjoy an assortment of food trucks, musical entertainers and art of all shapes and sizes at the historic Boys Ranch Park. The third annual Bedford ArtsFest will take place March 28, 2015 at the Bedford Boys Ranch Park, in the heart of the citys cultural district. In years past we have seen a tremendous outpouring of residents and guests supporting this endeavor and we hope to continue with the tradition. In the heart of the citys cultural district, the third annual Bedford ArtsFest will take place March 28, 2015 at the Bedford Boys Ranch Park. Coinciding with the City of Bedfords Easter Egg Celebration, families can enjoy the Easter festivities and continue over to the ArtsFest for free entertainment and activities. The Bedford ArtsFest is a single-day event that adds vibrancy to mid-cities by creating opportunities for people of all ages, cultures and backgrounds to celebrate the arts of North Texas. 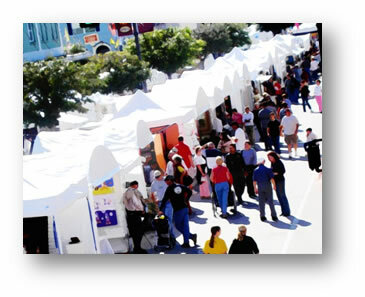 Artists of all varieties and skills will have an opportunity to display and sell artwork at ArtsFest. If interested in obtaining a booth, please contact Jeff Florey at 817-952-2317 or jeff.florey@bedfordtx.gov. ARTISTS: Artists who would like their material to be reviewed and approved by a jury of professional artists, for a chance to win cash prizes please register through CallForEntryentry.org. The deadline to apply for jury consideration is February 27, 2015. Artists approved by the jury will have the opportunity to exhibit and sell art in a designated Juried area. Please note the price drop in booth spaces. VENDORS Craft vendors interested in exhibiting and selling at the Bedford Artsfest are welcome to register to be featured in the Arts marketplace by completing the this application. The deadline to apply for a booth is February 27, 2015. We have dropped the price in booth spaces - grab one now before they are all gone.